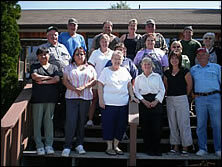 In 2007 Waterfalls Lodge transferred ownership. 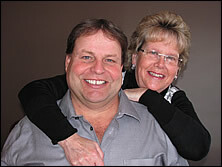 Thankfully, the same wonderful staff has stayed on, so you can still expect a warm welcome and great service. Hospitality remains our daily function at this family owned and operated lodge. We want your vacation here to be the very best ever. So our friendly, professional staff continuously strives to anticipate your every wish! Our success depends on your satisfaction. We want you to return again and again, just like our fabulous sunsets do. We are known as a great "Father and son" vacation destination, and we are proud of our family friendly atmosphere. We know how important it is that kids have just as much fun as parents do. That's why, in addition to the tremendous fishing, we have a variety of games and recreation opportunities that the young ones and the older ones can all enjoy. 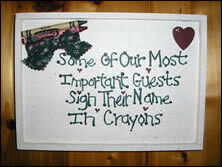 As the sign in our dining room says, "Some of our most important guests sign their name in crayons." Come visit Waterfalls Lodge, "where you come as a guest and leave as a friend." We look forward to welcoming you.